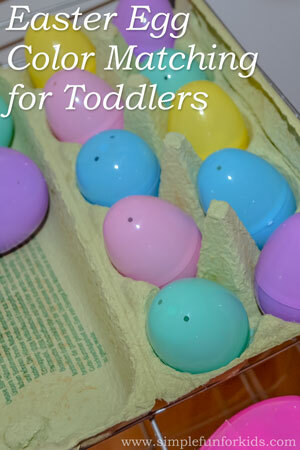 Want to add some learning to your toddler’s Easter play? Looking for new ways to use all those plastic Easter eggs? 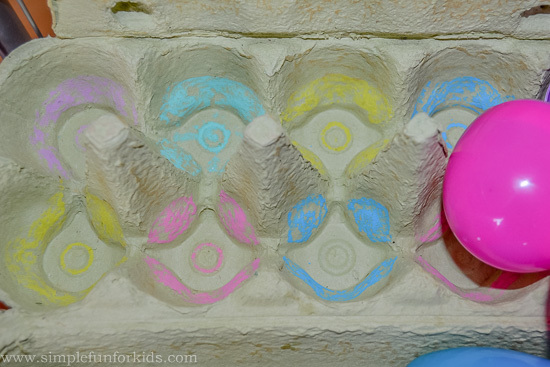 Here’s a really simple Easter Egg Color Matching activity you can set up quickly, and that’s perfect for toddlers. 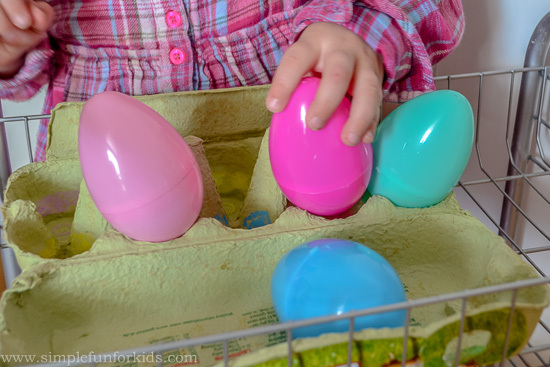 Markers that correspond to the colors of the Easter eggs. 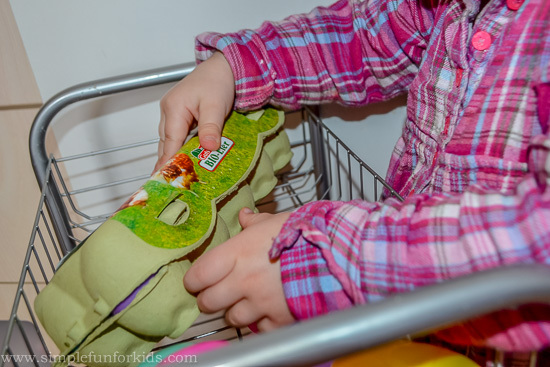 Around Easter of the year when E was 2, she enjoyed playing with an egg carton and plastic Easter eggs. 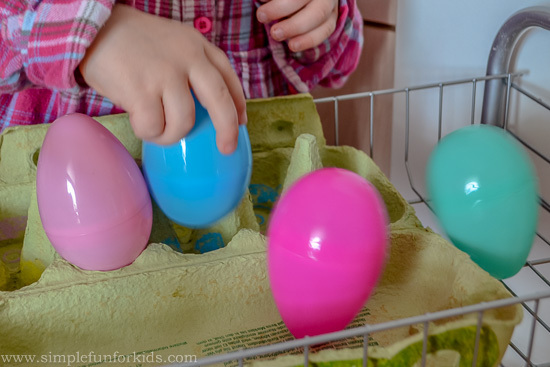 When E’s interest in this simple activity started to fade, I noticed that we happened to have oil pastels as part of our art supplies that matched the colors of the Easter eggs. 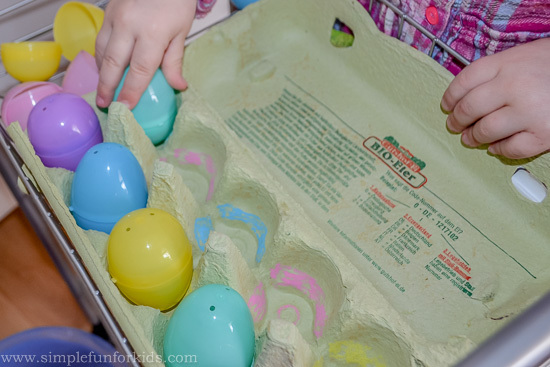 I decided to add some interest and extend the activity by marking each compartment of the egg carton to match the Easter eggs. E loved the idea and started matching colors right away. 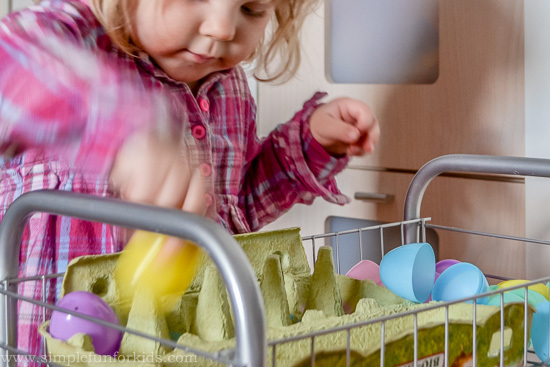 Once she’d played with the smaller Easter eggs a few times, she tried the bigger version. 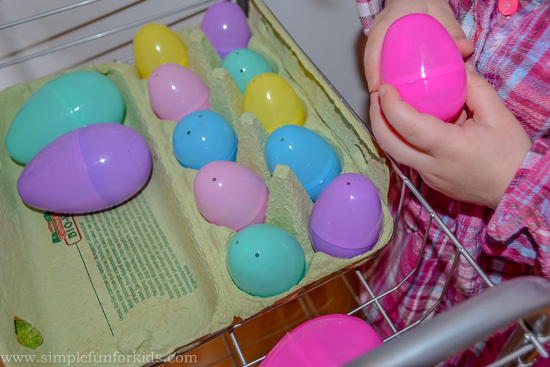 She soon noticed that they didn’t fit into the compartments but she still did her best to complete the color matching with the larger eggs.